Gravel Adventure has always been about linking together the perfect route on back roads, gravel roads, FSR, dike trails or even the local mtn trail as a way to eliminate busy traffic and the like from our rides. These kind of rides elicits pure joy from discovering new terrain in a different way. No matter how amazing your ride could be, you will never have a bike set-up that's suited to 100% of the terrain, 100% of the time. You're predicting, finding and refining the right mix of gearing and tire choice that's going to suit the entire ride, not just one section. And at the end, it leaves you beaming with pride saying, "I rode all that.. with his bike!?!" The Chilliwack River Valley has the terrain to boost rides like this, day in day out, seven days a week. Come race or come for an adventure. 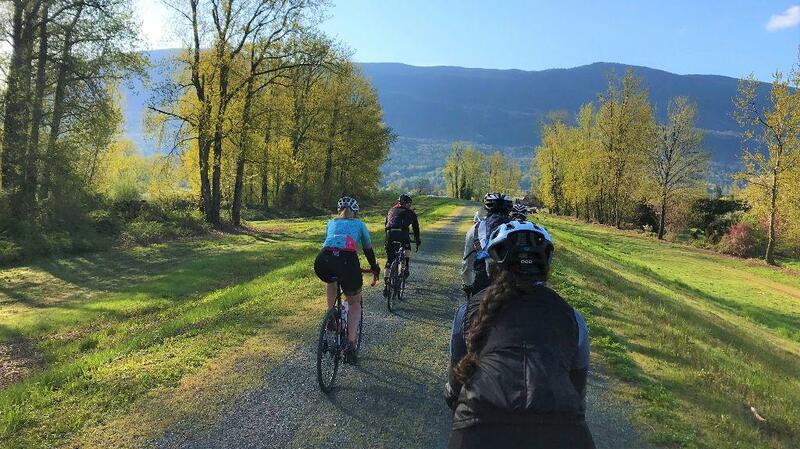 We want to share this splendor of the Chilliwack River Valley with you in our Ride for Water Gravel Event. Disclaimer: The Epic Route is intended for advanced riders who are familiar with being self-supported on remote backcountry roads. 70% of the Epic Route has 0% cell reception. 85km Medio Route: using the same Epic Route, except eliminates two large mountain climbs, the Medio's 1200m of climbing is for the Intermediate rider seeks the adventure and the pain, but doesn’t see the need for it to last all day. Epic Route and Medio routes are both classified as races. There will be podium awards for both Male & Females for both distances. Only the Epic Route is eligible for Easton Cycling’s Podium Prizes. 27km Intro to Gravel Route: Interested in trying a gravel grind event but without a large chunk of the climbing? Our Intro route only has 420m of climbing and consist of equal amounts of gravel and pave. Time Cuts: Epic Route and Medio Route will have time cuts located at the Cheam and Tamahi Aid Stations. If you are unable to make the time cut or just had too big of a day, paved roads will take you back into town. A Sag-wagon ride back to town will also be available. Specific cut times TBD and posted prior to the event. $160 – April 22nd to May 4th. Day-of reg excepted. 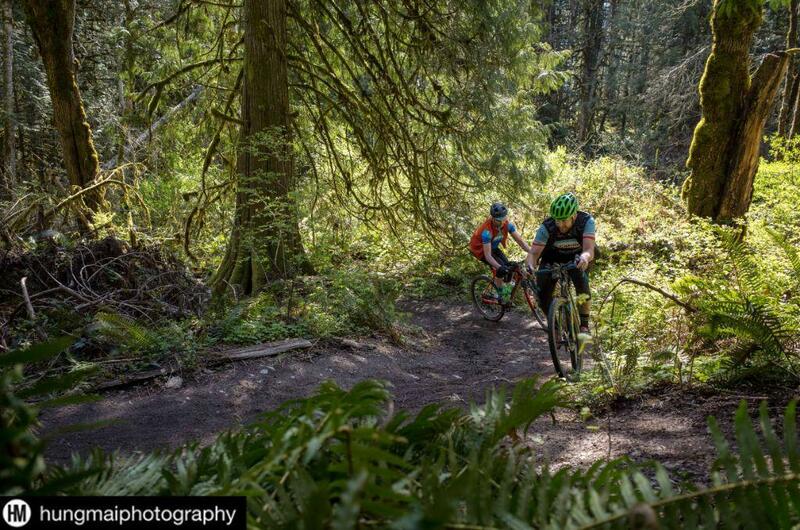 Registration includes a meal & beverage ticket and a post-ride party & beer garden at Cultus Lake’s main beach; presented by FourWinds Brewing! All route entry fees will be raising money for clean water projects in Ethiopia. The average person in North America is only 5 seconds away from clean water...the average person in Ethiopia is a 5 hour walk away from water. This shouldn't be. AND YOU CAN CHANGE THIS. Last spring the Parent Advisory Committee (PAC) in the community of Bekkye agreed to partner with Run for Water in fundraising for a clean water well and a new school in their community. They are actively working with their community to raise 10% of the project costs. The PAC will also manage the local construction process and long-term maintenance of the well and school.100% of the money raised by the Ride event will go toward providing the remaining project costs. This means that girls in Bekkye will no longer have to go on very long and laborious daily journeys in search of contaminated water. With access to safe, clean, drinking water, kids in the village can go to school, mothers can start businesses, fathers can water their crops, and children no longer die of waterborne diseases. THIS YEAR DON’T JUST RIDE, RAISE with the community of Bekkye! Run for Water Society is a non-profit organization which raises money for clean water projects in Ethiopia. *All of our event costs are covered by our generous sponsors so that, 100% of your donations go straight to the project on the ground.